"Thank you Kare! After our sessions, my energy level is up, my sleep has been sound and my confidence has improved enormously! I suddenly feel I know what my purpose is and I have a passion to achieve it! Thank you so much!" "I have been working with Kare for myself and my children, and our experiences with her have been wonderful and profound. She has helped up to work through and heal past traumas and patterns, and since working with her we have even become more united as a family. I would say Kare and her work are truly incredible and I would absolutely recommend her to everyone! I am so grateful to Kare for all that she has helped guide my family and I through." "I don't mind at all telling you or anyone what I think of Kare's way of healing. My friend Jodi said to me I have to meet Kare and experience a healing sessions from her. I am a Physic Medium and I am very careful with who I allow to work on me, as I very sensitive to energy. But my trusted friend said it's something you have to experience! So I sat down on Skype with Kare. I liked her energy, friendly manner and she put me at ease. I love the way she truly believes in what she does. For I know that is half the battle when working in the Metaphysical and healing arts. Kare went right to work touching on some deep issues I was having. Watching Kare work was amazing she was so focused and her heart is in the right place, she had my trust. Some of the stuff she brought up was amazing. Like my lineage and how it is affecting me, past lives, food sensitivity's and more. I learned a lot from Kare that day and was very surprised at how her clearing those things that were affecting me on many different levels alleviated many of those deep issues I was having. It's funny it seemed so simple and yet it was very effective. I went back to Kare again as I found some other issues creeping up on me and again I had the same results. Easy, Simple, and Effective it was to shed those issues and move forward with Kare's clearing healing method. I keep in touch with Kare and whenever I know I need to clear, heal or remove an obstacle in my way I call Kare and you should too! Like my friend Jodi said, it is an experience you have to experience. Trust me, you will be pleasantly surprised at what comes up and how Easy, Simple and Effective Kare's healing method is!" "I can’t say enough positive things about Kare. She has helped my family and friends in so many ways!! For myself, my family and my friends she has relieved issues such as migraines, anxiety, depression, dizziness and many MANY more. For my children, she has helped them to overcome nightmares, tantrums, illnesses and many other issues. Kare is kind, nurturing and supportive. She is extremely reliable and flexible. We absolutely LOVE her! Kare is the best!!" "Kare has been a bright light for us! She has helped us through different challenges and always goes above and beyond. She helps to peel back those layers to help us get to the root of the issue, be it physical, mental, emotional. It’s been amazing to see the shifts that take place after a session. We are beyond lucky to have found Kare!" "Kare has such an approachable, kind way of working with people. She really makes people feel comfortable. I cannot recommend her enough!!" "Kare has helped my son, myself and my daughter so much that I will forever be grateful. Words cannot express how happy I am to have found her. My son was dealing with some anger and jealousy issues. I knew why, but could not get through to him. After one session with Kare, my son is better than ever. To say he is the perfect little 6 year old is an understatement. She gave me my little man back. One session and clearing his field of some negative attachments (if that is the correct way to put it) and he is the most loving he has ever been. My daughter picked up a speech issue out of the blue. She is 4 so I monitored it for a bit thinking possible age changes. It progressively got worse. Again, one session with Kare and it was gone about 75% overnight and 100% by the time processing was complete. As for myself, years of begging, hoping and praying for another baby turned into reality after Kare was able to help me through a difficult time. These are just three of my biggest, most pronounced sessions. I am a believer in faith, positive energy and frequencies. I feel like things happen in life for a reason. Kare came into my life for a reason." "I have worked with Kare for the past six months and it has carried me through some challenging times. Not only is Kare knowledgeable and professional, she is extremely passionate about her work and dedicated to helping people to feel their BEST. Kare goes above and beyond to determine what the issue is and works diligently to solve the problem. My debilitating neck pain has completely minimized after Kare’s session and I am so grateful to have had the opportunity to work so closely with her! What sets Kare apart from other healers is her kind heart, compassion and empathy. She genuinely cares about her clients and their wellbeing and makes it a very comfortable experience. I highly recommend Kare for anyone seeking a reliable and effective healer." "Kare is absolutely amazing! I was having migraines several times a month and nothing helped. After just one session with Kare, my migraines went away! We’ve been working on a few other things since then, with great progress. She even helped me to get rid of an infection! I can’t say enough great things about my experience with Kare. The only mistake you’ll make by seeing Kare is not making your appointment soon enough! I look so forward to my sessions with her." "I have had two sessions with Kare and I am so grateful to have found her! She is great at what she does and has been able to help me release and shift some areas of my life that have been a real struggle over the years... very powerful yet gentle work with the subconscious. I look forward to our next session and highly recommend her to anyone looking for that extra healing. Thanks Kare, you totally rock!" "I am so thrilled with my experience working with Kare. I began feeling much pressure from some heart health issues so we began working with my heart and after my very first session I experienced such a calmness, my breathing improved and I felt such a dramatic change in my wellness that it was mind boggling. In fact, shortly after my second session, I had some tests re-run and in fact, my heart has improved which is amazing. I am a work in progress on this and I wish to thank Kare very much for being one of my healing partners. Kare is amazing at intuitively pinpointing the critical starting point to my healing journey." "My five year old boy is seeking Kare for his anger management issues and defiance caused by a huge body imbalance. He has multiple issues going on with his bowels also. They have labeled him Asberger’s or a possible TBI. The label is not important, as his healing is most important and he is definitely changing and opening up in every way. It is amazing to watch the transformation unfolding in my son’s behaviour." "I have had several sessions with Kare dealing with different issues and not only were they awesome, stuff moved, Kare was awesome and I felt like she has been doing this for several years - easy and amazing stuff. Thanks Kare you are awesome!!!" "I have had a great experience working with Kare on a few trapped emotions I have been holding onto for way too long. It's been an interesting journey for sure and I believe that we can all benefit from emotional healing. Thanks Kare!" "Kare is one of the most loving people I know. We all need people like Kare in our lives, to lift up our hearts, enable us to better heal ourselves, and help us overcome personal challenges. She is a wealth of knowledge, and is a gifted healer. She has been a blessing in my life." "I was very impressed by Kare's sessions. A sciatic pain I'd been suffering for almost a year has just about cleared up. Some chronic back pain that's been around for +20 years is greatly improved. I have felt other shifts as well. She is very knowledgeable and explains the process very well. Thank you Kare!" "I have improvement in my jaw since our session. I also have been wearing a night guard. I have been feeling more energy. Thank you so much!" "Kare is the most caring healer I have worked with, gets down to the nitty gritty fast and won't give up until you are both happy. Simply love her!" "What I noticed a day or two after was a shift in energy. I have more confidence and no longer feel stuck. It was a pleasant and life changing experience. As for work. I am not currently working as I’m on long term disability. I am planning on going back to work and am feeling more confident about be return to work. Thank you so much, I wish you all the best with your practice." "I have experienced a lot of healing work over the years in many different modalities. 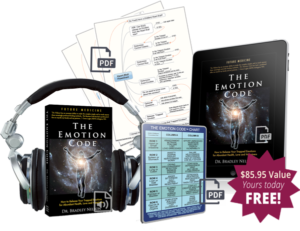 My Emotion Code session with Kare was different than any other healing work I had done in the past. I could feel an almost immediate shift. I am excited about watching the changes in my life unfold. Thank you, Kare. I wish you much success with this work and I know it will help a lot of people."